Houses go up in flames in about three minutes, eight times faster than they would have 50 years ago. 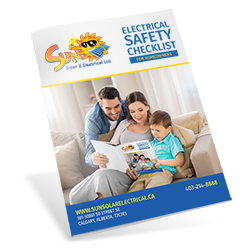 20% of those home fires in Canada are electrical. By the time you see the fire, it’s too late to do anything but evacuate. But if you could recognize these early signs of an electrical fire, you could save yourself AND your home. If you smell something burning, but can’t find the source, it may be an electrical fire. If you can locate the source of the smell, shut off the power to that section. If you can’t, we recommend turning off the electrical system until a qualified electrician can come take a look. If the smell is extremely strong, or you see smoke, leave your house immediately and call 911. Water is a huge no-no for electrical fires. It will increase your risk of electrocution, and do nothing to safely smother the fire. If the fire has just started or is isolated, stick with a fire extinguisher, and make sure everyone in your family knows how to use it. A tripped breaker means a trip to the electrical panel. It happens every once in a while – that’s totally normal. Your circuit is overloaded. When that happens, the breaker trips to prevent overheating. To solve this problem, you’ll have to move appliances around so you’re not putting strain on your circuits. Something is short-circuiting. This happens when a live or hot wire touches a neutral wire. This generates a strong current which overheats your circuit. Cue the circuit breaker. This is a more dangerous problem than an overloaded circuit, and is often caused by faulty wiring. 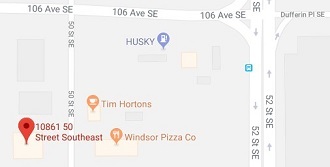 If you suspect a short circuit, you should have us come take a look. When they trip, your breakers are doing what they do – protecting you from an electrical fire. But a breaker that trips too much will eventually STOP tripping – that’s when your circuit will overheat and a fire will actually happen. If you realize one or more breakers keeps tripping, don’t reset them without calling us for an inspection. Have you noticed one of your outlets has stopped working? How about a distinct discolouration of a switch? Discolouration or charring means you’ve already had some sort of small electrical spark that has impacted the switch or outlet. This is not a good sign. We can troubleshoot what the problem is, and make your home safe again. Tip: Another way to tell if outlets and switches are working properly is to touch the plates covering them. If they’re hot against your hand, your wires and connectors may be overheating as well. 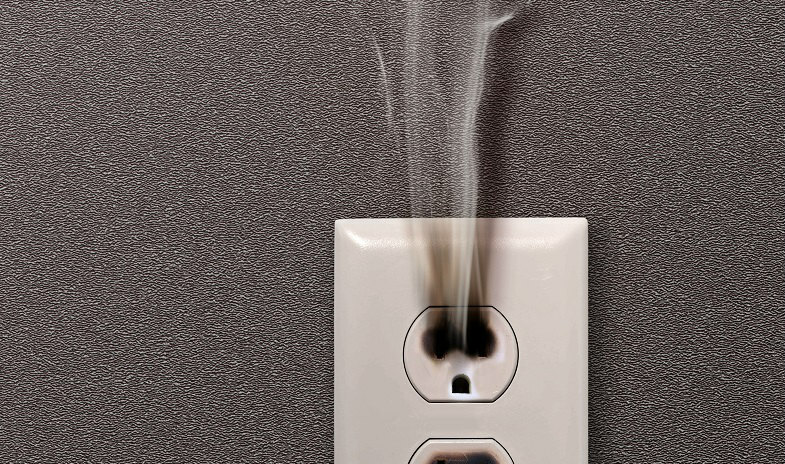 You may not see signs of an electrical fire, but the following problems put you at risk. Damaged wiring is one of the most obvious electrical fire hazards, and should only be repaired by a professional. Old wiring is just as bad as damaged wiring. In most cases it’s not the wire itself – good copper wire can last up to 100 years. It’s the insulation that becomes weakened over time. If you don’t know when your wiring was installed or last checked, give us a call. Tip: A renovation is a great time to have your wiring checked, because you’re already making changes to your home. When you work with a company like Ultimate Renovations here in Calgary on a renovation or addition, you’ll get the best attention to detail, including your electrical. If it looks like your electrical should be done, give us a call. We have renovation wiring services that include calculating loads and circuit requirements. Every once in a while, does your house suddenly imitate a haunted one with dimming or flickering lights? Power supply issues. Sometimes lights can dim if there’s an unusually high demand on your power grid. Check with your electricity provider about current power usage in your area. If the lights are dimming due to high usage, this is nothing to worry about. If your lights are dimming for another reason, it’s an electrical fire hazard you should have repaired as soon as possible. Power bars and extension cords are what make our entertainment system function, and how we charge our phones without getting up. But power bars and extension cords can actually pose an electrical safety hazard when used incorrectly. Your outlets are designed to handle a specific amount of output. Drawing more power through bars, strips, and extension cords isn’t good for them or your wiring. If you need to use power bars and extension cords to meet your lifestyle requirements, we recommend asking us about increasing the number of outlets you have, or putting them in new locations. This will help reduce the risk of an electrical fire and make your home more convenient. If you have any of these electrical hazards, get in touch with us. We’ll perform a thorough safety inspection, and make on-the-spot recommendations about repairs that will keep you and your home safe.